Pentjak Silat (also Pencak Silat) is a term for the martial arts of Indonesia. There are scores of Silat styles. One count suggested more than 160 . . . and this was probably low, because many instructors regard their art as secret and conceal it from all but carefully selected students. Most forms come from Java, but Silat exists across Indonesia, and also in Malaysia and the Philippines (Filipino Silat fighters should blend one of the styles below with Escrima, pp. 155-156). Because Indonesia was a Dutch colony, Silat is found almost anyplace that received Indonesian-Dutch immigrants, too - including Europe. Attempts to unify Silat into a single entity have failed. 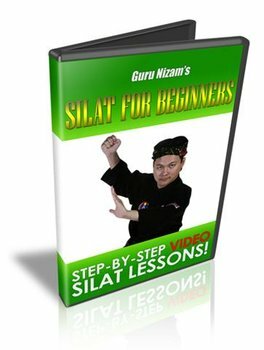 As a general rule, Silat stylists fight low to the ground, launching strikes and throws from crouching stances and using rapid sideways movement. They learn to strike hard in order to destroy the foe's means of attacking - and to retreat if faced with superior force. Students study weapons from the first days of training. All Silat variations teach the art's signature weapon, the kris (p. 219). Pentjak Silat styles vary from soft to extremely hard. Some stress destructive striking techniques and brutal limb breaks. Others concern themselves with meditation, hypnotic hand rhythms, and even supernatural powers. Indeed, many Silat styles purport to grant magical abilities, with the kris serving as a focus (much like the Powerstone and Staff in GURPS Magic). This makes Silat an ideal transplant to Yrth in a GURPS Banestorm campaign! Experts of such styles can reputedly kill at a distance and render themselves impervious to weapons. Below are two of the many Pentjak Silat variations. The GM may wish to develop more if running a Silat-heavy game. "Art" and "sport" forms are rare, though. Silat is a kind of cultural expression - dance-like exhibitions accompanied by music are common at celebrations - but this aspect of the style is secondary to its combative side. "Mixed martial arts" (MMA) is an emergent trend in modern martial arts. It isn't a style but an umbrella term for any style or combination of styles that includes both striking and grappling tactics for fighting limited-rules bouts. MMA events pit fighters from many different styles against one another, and are rapidly growing in popularity. In early no-holds-barred bouts, pure striking stylists did poorly because they couldn't cope with elementary chokes and locks once a grappler took them to the ground. Dedicated grapplers did well until faced with opponents trained to strike and grapple, both standing and prone. The curriculum of MMA schools reflects the lessons learned from these matches. Such schools are pragmatic -gyms more than dojos, even in tradition-heavy Japan. Mixed martial arts competitors learn to punch and kick until they can grapple their adversary and finish him with a choke, lock, or close-in strike. Each fighter has his strengths and weaknesses, but no serious contender can afford to be without training at both striking and grappling. While almost any style that offers effective, fight-tested techniques and full-contact sparring can be part of a MMA curriculum, a striking stylist must learn a grappling art - and vice versa - to be competitive. Common MMA striking styles include Bando (pp. 151-152), Boxing (pp. 152-153), and Muay Thai (pp. 185-186). Nearly any grappling art makes an excellent basis for MMA training - including such sport forms as Judo (p. 166) and Greco-Roman Wrestling (p. 205), which sometimes show up in MMA bouts after a fighter learns locks and holds illegal in his original sport! A few arts are essentially MMA "as is," most famously Brazilian Jiu-jitsu (pp. 167-168), Sambo (p. 185), and modern Pankration (pp. 188189). On the other hand, kick-heavy styles such as Tae Kwon Do and Savate, and "soft" arts like Aikido and T'ai Chi Chuan, play almost no role in MMA. In game terms, a MMA fighter needs a style or a blend of styles that offers striking skills (usually Karate or Boxing) and grappling skills (Judo or Wrestling). Ideal choices are arts that teach techniques popular in MMA, notably Arm Lock, Choke Hold, Ground Fighting, and Low Fighting. 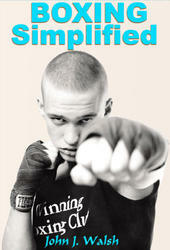 The Clinch, Neck Control, and Style Adaptation perks - especially Style Adaptation (All) - are common among competitors. If using templates, Contender (p. 32) works best. Instructors might use Instructor (pp. 34-35) or be contenders with the Teaching skill and too many injuries to fight.